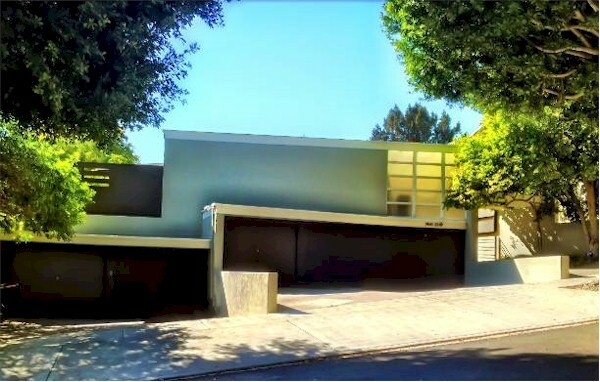 You've likely driven by this property and simply thought it was an example of cool Silver Lake mid-century modern architecture. That it is, but the Avenel Cooperative Housing Project has an interesting history. After WWII the Federal Housing Administration provided funding for houses, most of which were single family homes. During this period, when home building was in full swing, a group of 10 families pooled their resources (about $11,000 each), bought ½ acre of land and set Gregory Ain to the task of building a cooperatively owned multi-family complex. These families were looking for affordable housing with modern style and easy indoor-outdoor flow and Gregory Ain did not disappoint. By 1948 the project was completed and is now registered on the National Register of Historic Places. 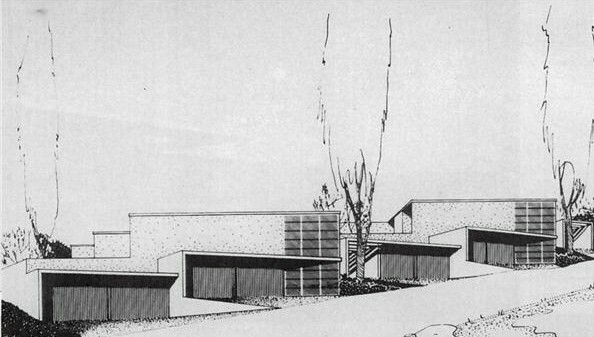 The property consists of 2 buildings, each with 5 dwellings with their own views and terraces. The garages face Avenel Street but the homes zigzag up the hill and provide residents with lovely views of the Hollywood Hills. If you have not seen one of these homes, you owe it to yourself to take a look. They are all approximately 900sf but designed in such a way that the walls are movable panels so the house can be configured and reconfigured as desired with the option of having 1, 2 or 3 bedrooms at any given time. These units don’t come on the market often; however, two of them were sold just last year. 2847 Avenel Street sold in just 12 days, closing escrow 3/14/2012 for a purchase price of $503,500. This unit belonged to and was lived in by one of the original owners for more than 40 years! There were no interior photos provided by the listing agent but at that selling price, you can guess that was in need of some work. 2847 ½ Avenel Street took slightly longer to sell – just 26 days! Escrow closed on this unit 9/7/2012 for a whopping $657,000. 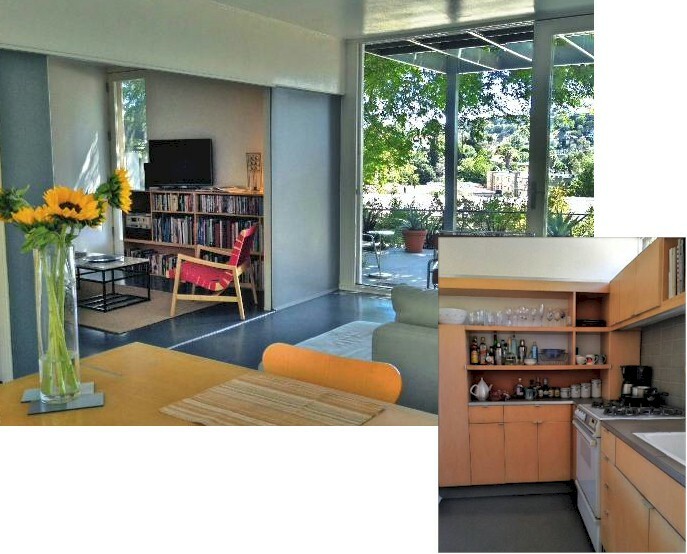 This unit was meticulously restored by its architect-owner who lived in the home for 20 years. You can see how his updating kept the feel of the original design of the home while enhancing it for today’s living. Note the sliding wall dividing the living room from the media room and the glass doors to the patio that bring the outdoors inside making the living face feel larger than it actually is. So you want one of these Avenel Street Condos for yourself? Are you ready for your own make-over project in this highly sought-after Gregory Ain Complex in Silver Lake? 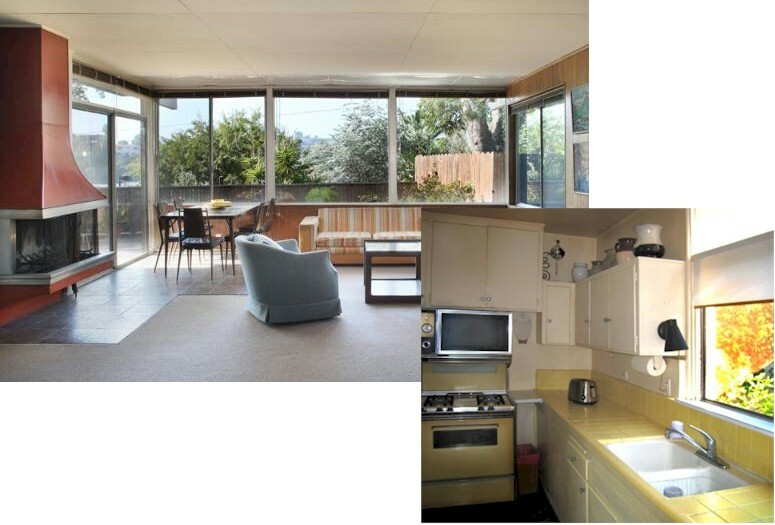 If you are a fan of this architectural style, don't need alot of space and would like to own a piece of Silver Lake history, you are in luck. 2843 Avenel Street is one of the larger units in the complex at 1114sf and it just hit the market. Currently listed with Erik Lerner, Keller Williams for $650,000 this unit is a blank canvas for your mid-century modern redo.